Strengthen your organization’s IT Security and compliance measures with IT security solutions from Wroffy Technologies that solve real business issues. Information technology plays the most important role for any company whether its entertainment industry, financial industry, automobile industry, FMCG industry or the healthcare industry, choosing the right IT Security solutions is very important for the business’s success. Today’s cyber threat landscape is dynamic. The proliferation of technologies like mobile, social, cloud and big data has been increasingly impacting data protection strategies. These technologies will continue to add to the security concerns and drive the security requirements of the IT infrastructure and information assets for any company. Today it’s important that businesses have a IT strategy to deliver effective enterprise security risk management and awareness using defensive strategies, monitoring, analysis and reporting. With vast experience as an IT Security Solutions Provider in India, Wroffy offers world-class IT security solutions & consultation to put you back in the driver’s seat of your business. With our enterprise security solutions, antivirus solutions, enterprise mobile management, managed firewall solutions, we can take your business to the next level. Our industry-leading security solutions help you predict cyber attacks, proactively respond to threats, ensure compliance, and protect critical data, applications, infrastructure and endpoints. 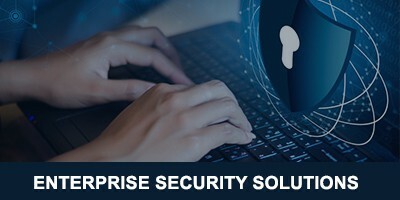 Our enterprise security solutions offer comprehensive protection from cyber attacks, breaches & unauthorized access to solve your biggest data security challenges. 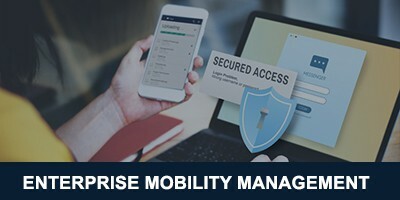 Our enterprise mobility management enables enterprises have better control over their data and apps without compromising user privacy. Controls network and data access for users and devices across cloud and on-premises with Wroffy’s Identity and access management Solution. 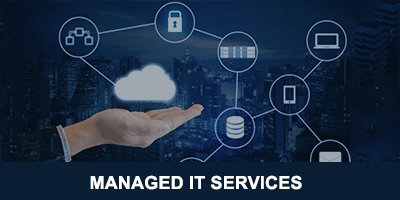 Our Managed IT Services will reduce your overall IT operational costs in your business while improving its efficiency to enhance your business productivity. 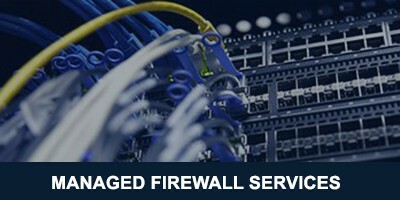 Our Managed Firewall service provide 24×7 firewall administration, log monitoring, and response to security and device health events. 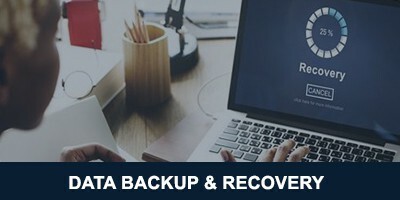 With our Data Backup & Disaster Recovery services, we help you minimize the downtime and ensure that your business rebuilds and survives. Threat is Real: How secure is your Netwrok? Secure your servers and work stations from external risks, improving your IT security posture and user productivity, with our endpoint protection services. Regulatory compliance, computer system intrusions, and the risk of disaster, make it essential for companies of all sizes to establish a data protection program. Manage complex network security policies with our complete, integrated solution. 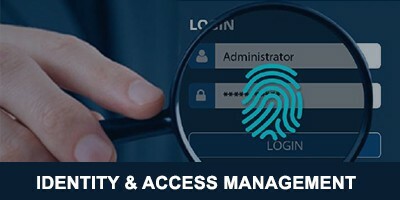 We Identity & Access Management Services provide clients with control and visibility into users and their access privileges, improving an organization’s overall security posture. We provide best products from one of the few companies in the world that can provide end-to-end security solutions — from expert advisory services to fully managed security operations like SOPHOS. We are the premium partner of companies which can implement an integrated, enterprise-wide approach to protecting your enterprise, systems, endpoints, users, processes, applications and data effectively.